'Dynasties,' a new BBC documentary series narrated by David Attenborough, is about the complex social structures of five different groups of animals. The show's executive producer Michael Gunton talks about the power struggles among animals that played out over years of filming. "One of the essential elements of the series is that you feel close to the animals," Gunton says. David Blight's Pulitzer Prize-winning biography describes Frederick Douglass' escape from slavery, his passionate leadership in the abolitionist movement and his gift as a writer and orator. Blight spoke with 'Fresh Air' in December of 2018.Aretha Franklin has been awarded a posthumous "Special Citation" Pulitzer Prize. We'll hear an excerpt of her 1999 interview with Terry Gross. Also, film critic Justin Chang reviews 'Long Day's Journey Into Night,' the second feature from the Chinese writer-director Bi Gan. 'New York Times' baseball writer Tyler Kepner spoke to 22 hall-of-fame pitchers about what they throw, and how they get a mental edge over hitters. His new book is 'K: A History of Baseball in Ten Pitches. 'Also, Maureen Corrigan reviews the novel 'Lost and Wanted' by Nell Freudenberger, about an MIT physicist who finds her rational understanding of the universe challenged by the death of a friend. After 12 seasons on Law & Order: SVU, Christopher Meloni plays a disgraced policeman-turned-hit man in the second season of the Syfi Channel series Happy!. Meloni talks about being a bouncer before he broke into acting, playing tough guys, and life after 'Law & Order.' Tiger Woods' recent Masters title follows a 10-year drought of major tournament victories. Jeff Benedict, co-author of the biography 'Tiger Woods,' says the golfer's comeback "transcends sports." Bill McKibben, who first warned of climate change 30 years ago, says its effects are now upon us. He talks about heat waves, fires, flooding, drought, and, soon, millions of climate refugees. "The idea that anybody's going to be immune from this anywhere is untrue," he says. His new book is 'Falter. 'Also, Ken Tucker reviews The Mekons' new album 'Deserted,' their first in 8 years. The two-time Pulitzer Prize-winning journalist was never interested in only telling the stories of great men. Instead, he says, "I wanted to use their lives to show how political power worked." He talks about his two most famous works — biographies of Lyndon Johnson and Robert Moses. His new memoir about his process is called 'Working.' Also, jazz critic Kevin Whitehead reviews a new album from trumpeter Tom Harrell. After wrapping up his role as 'Happy Days' iconic cool guy, The Fonz, in 1985, Winkler struggled with typecasting. Eventually he was able to move on. He plays a self-involved acting teacher on HBO's 'Barry.' He talks with Terry Gross about his early career, his own experience in acting classes, and struggling with dyslexia. Rock critic Ken Tucker reviews Billie Eilish's debut album, 'When We All Fall Asleep, Where Do We Go? 'Rob Delaney, the co-creator, co-writer and co-star of the Amazon comedy series 'Catastrophe,' talks about his experience writing the fourth season with Sharon Horgan while grieving the death of his young son. Though working on 'Catastrophe' didn't lessen or distract Delaney from his grief, he says he found grief and work "compatible" in that work gave him the structure he needed to "approximate normal behavior." He spoke with 'Fresh Air' producer Sam Briger. Ray Romano spoke to Terry Gross in 2016 about life after 'Everybody Loves Raymond,' and how fame has affected him. "Here's what I say: Before I thought my cab driver hated me; now I think my limo driver hates me." His new Netflix special is 'Right Here, Around the Corner.' Actor Seymour Cassel, who died April 7, performed as a child during matinees of his mom's burlesque shows. He went on to appear in movies directed by John Cassavetes and Wes Anderson. He spoke with Terry Gross in 2006. After wrapping up his role as 'Happy Days' iconic cool guy, The Fonz, in 1985, Winkler struggled with typecasting. Eventually he was able to move on. He plays a self-involved acting teacher on HBO's 'Barry.' He talks with Terry Gross about his early career, his own experience in acting classes, and struggling with dyslexia. Also, John Powers reflects on 'Game of Thrones' as it enters its final season. The U.S. prison population is booming; an estimated 2.1 million people were incarcerated in America in 2016, and as many people in the U.S. have criminal records as have graduated from four-year colleges. Journalist and Yale Law lecturer Emily Bazelon attributes America's high incarceration rates to prosecutors more than judges. Bazelon spent 2.5 years reporting on the Brooklyn district attorney's office. Her new book, 'Charged,' examines the power of prosecutors and looks at alternatives to bail, plea bargains and incarceration.Also, film critic Justin Chang reviews 'Her Smell,' starring Elisabeth Moss as a out-of-control punk rock musician struggling with substance abuse. Jake Sherman and Anna Palmer, who cover Congress for 'Politico,' discuss the power dynamics of Capitol Hill during the Trump Presidency. Their new book is 'The Hill To Die On. 'Also, book critic Maureen Corrigan reviews the novel 'Normal People' by Sally Rooney. The new FX series 'Fosse/Verdon' celebrates the professional and romantic relationship between legendary choreographer Bob Fosse and dancer Gwen Verdon. He created the musicals 'Chicago,' 'Damn Yankees,' and 'Sweet Charity' for her. 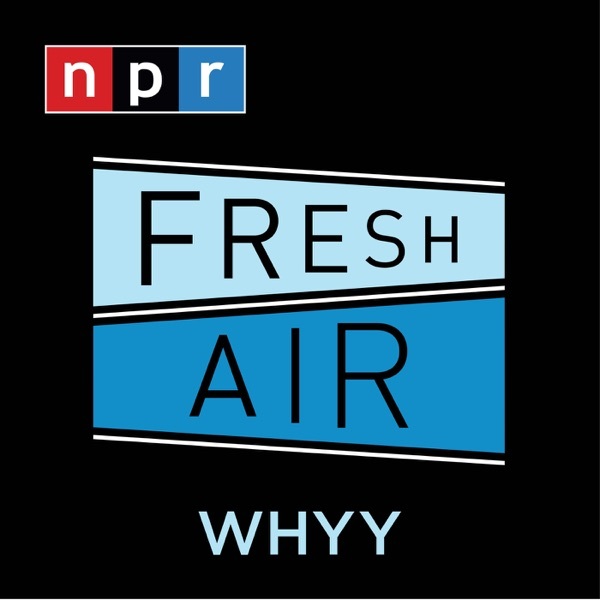 After David Bianculli reviews the new TV series, we'll listen back to Terry Gross' 1993 interview with Verdon, as well as our 1985 interview with choreographer and dancer Merce Cunningham. Also, film critic Justin Chang reviews the new sci-fi thriller 'High Life,' starring Robert Pattinson and Juliette Binoche. Nézet-Séguin, who directs the New York's Metropolitan Opera and the Philadelphia Orchestra, spoke with Terry Gross in front of a live audience for a WHYY event about his style of leadership, using his whole body when he conducts, and being a high-profile gay man. Henry Louis Gates Jr. points to post-Civil War Reconstruction as the genesis of white supremacy, as white Southerners looked for ways to roll back the newly acquired rights of African-Americans. His new book is 'Stony the Road. 'Rob Delaney, the co-creator, co-writer and co-star of the Amazon comedy series 'Catastrophe,' talks about his experience writing the fourth season with Sharon Horgan while grieving the death of his young son. Though working on 'Catastrophe' didn't lessen or distract Delaney from his grief, he says he found grief and work "compatible" in that work gave him the structure he needed to "approximate normal behavior." He spoke with 'Fresh Air' producer Sam Briger. 'New York Times' reporter Nicholas Casey was in Maracaibo, Venezuela, in March 2019 during a six-day power outage that left 30 million people in the dark. "By the fourth day," he says, "you started to hear shots getting fired in the street." Shortages of food, water and medicine have become so extreme that 3 million people, a 10th of the population, have left to escape the chaos. President Nicolás Maduro is holding firm against the opposition leader, Juan Guaidó, with no resolution in sight. Casey talks about the crisis in Venezuela and how the economic collapse began. Also, jazz critic Kevin Whitehead reviews a new recording of a Betty Carter concert from when she was at the top of her game. CNN legal affairs correspondent Joan Biskupic discusses the roots of Roberts' conservatism and his work for the Reagan and George H.W. Bush administrations. She says he's had a conservative impact on the law, but is also deeply concerned about the court's reputation — something President Trump would be wise to remember. "The more Donald Trump talks about how the court is on his side, the more he's going to drive John Roberts to the left, because the last thing John Roberts wants to do is to appear Donald Trump's notion that judges will automatically rule in the favor of the president who appointed them." Biskupic's new book is 'The Chief. 'Also, book critic Maureen Corrigan reviews the political novel 'The Other Americans,' by Laila Lalami. John Mulaney was a writer at 'Saturday Night Live' for five years and recently returned to host for the first time. He talks about his 'SNL' audition, writing monologues for famous hosts, and drawing on his Catholic upbringing for stand-up material.Also, critic David Bianculli reviews 'What We Do In The Shadows' on FX. The series was created by Jemaine Clement ('Flight of the Conchords') and filmmaker Taika Waititi.Natasha Lyonne's character on the Netflix series 'Russian Doll' keeps dying and coming back to life. It's a premise that strikes a chord with the actor; Lyonne had a near-death experience in 2005. She talks with Terry Gross about how that experience informs her work, her signature raspy voice, and wanting to be a "tough guy."